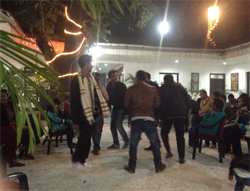 The 8th Ethiopian Nation Nationalities and Peoples day celebrated in Ethiopian Cultural Centre here in Delhi on 10th of December 2013. 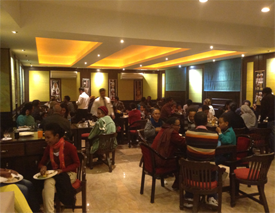 The Day was colorfully marked in the presence of Ethiopian students and Diasporas around Delhi. Speaking the special event, H.E Ambassador Gennet Zewide addresses the crowd and said that the Day is an occasion in which the Ethiopian Nations, Nationalities and Peoples make a solemn commitment and promise to develop their language and culture and also forge strong cooperation. Discussion also held on the presentation entitled "Kali" that explains the struggle by Ethiopian Somalis to solemnly confirm their identity as an Ethiopians'. The music and cultural dances of the nations and Nationalities has given the night a warm look.